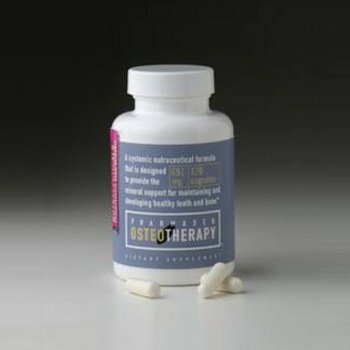 OsteoTherapy Remineralization Support. 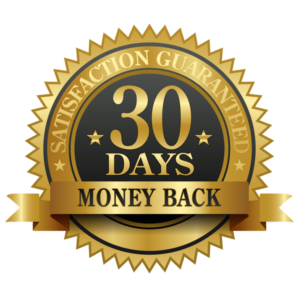 Bone Loss Support/Systemic Mineral Support is essential, yet often overlooked in gum disease, orthodontia and oral surgery. 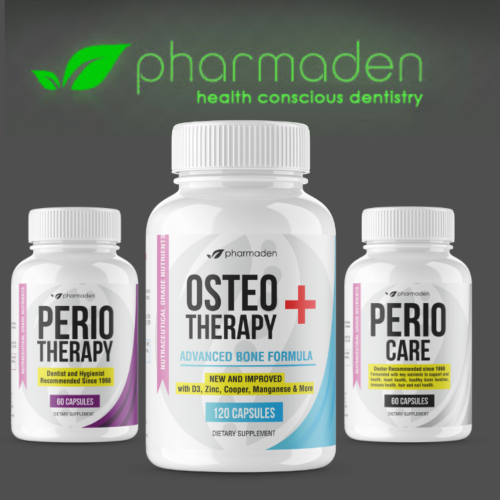 Fortunately, Pharmaden’s OsteoTherapy is a unique formulation designed to provide mineralization support to assist the body in maintaining optimal bone density. 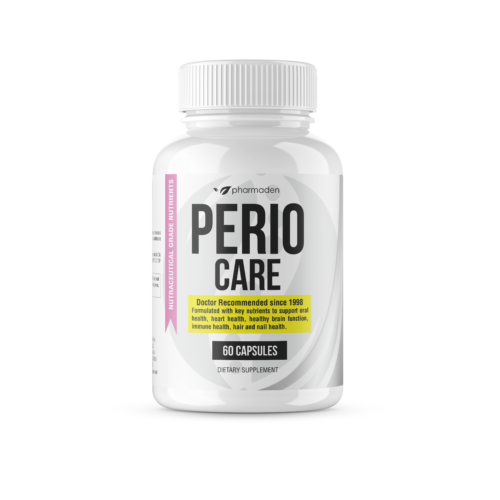 In addition, taking the recommended dosage of calcium, or at least 500 milligrams a day, has been directly linked with the promotion of gum health. 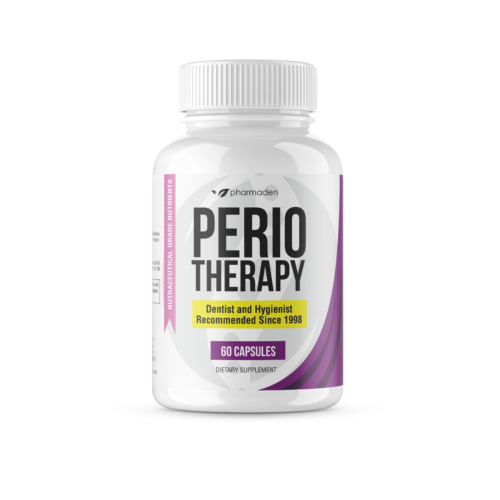 The ADA reports that this dose significantly decreases the risk of gum disease, particularly noticeable in those who are in their twenties and thirties. Calcium supplementation may also reduce the risk of osteoporosis. 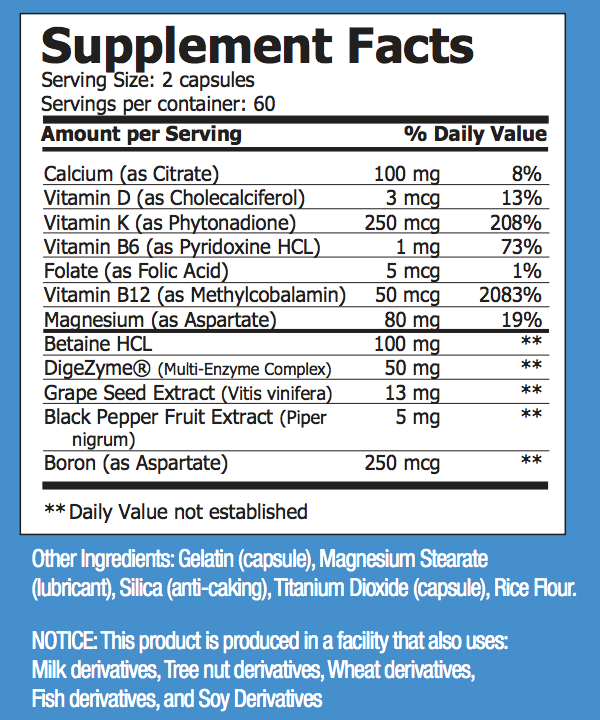 Serving Size: 2 capsules twice daily with meals as a dietary supplement. Take as directed by your dentist. Always check with your physician before taking any supplement or medicine.